The launch of Benetti’s impressive 108-metre FB275 on March 28 marked the third gigayacht to be delivered by the Livorno, Italy, shipyard in 100 days. Stretching 108-metre-in-length and boasting impressive technical engineering, the FB275 will not, however, be Benetti’s last gigayacht, vowed president and founder, Paolo Vitelli. 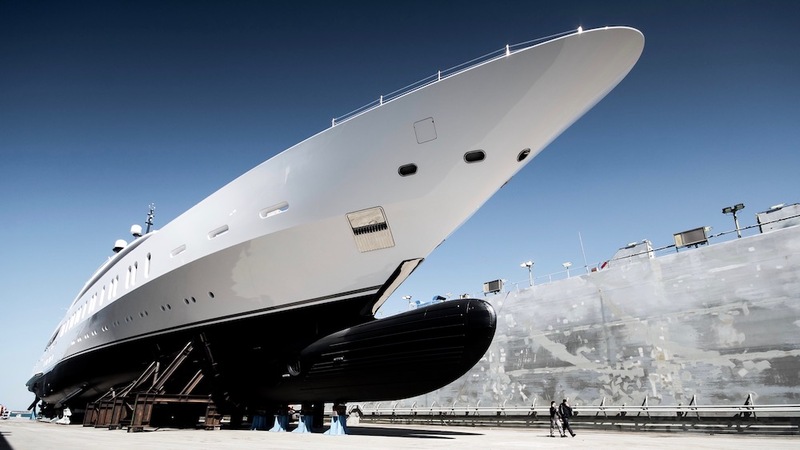 Speaking on the morning of the launch, he stated that with the yard’s new technical know-how and in-house workforce required for building larger vessels, Benetti will strive to deliver at least one 100-metre-plus yacht per year. 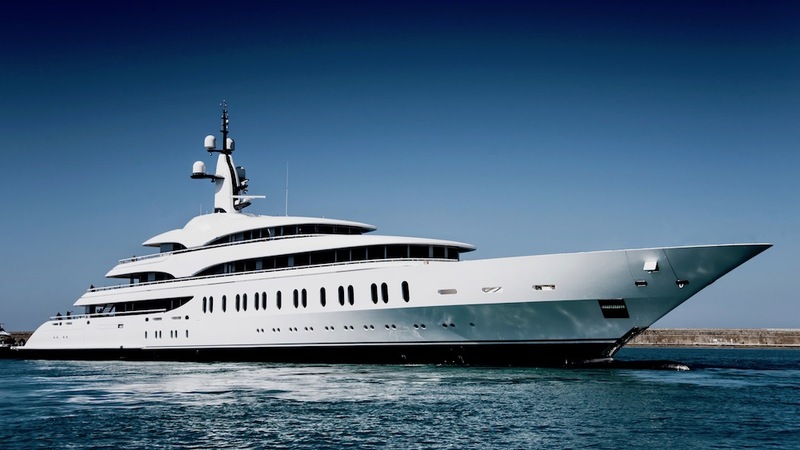 The FB275’s 108-metre steel hull has a 14.6-metre beam with a draft of 4.3-metres. Designed to cruise for thousands of kilometres without the need to refuel, the FB275’s 345,000-litre fuel capacity enables it to achieve a range of 6500 nautical miles at 14 knots. British firm RWD (formerly Redman Whiteley Dixon) penned the yacht’s exterior lines, and Benetti’s in-house team dreamed up the interior. More than 1000 square metres was devoted to exterior spaces, spread across five decks. The owner’s deck has its own exclusive dining and seating areas, while a large heated pool is located on the main deck, and the bridge deck offers up a fire pit surrounded by sunpads. But much of the design prioritizes leisure and water sports, with a 1500-litre refueling station for all the toys on board, not to mention five cranes and two special hydraulic scissor-type lifts for lifting tenders weighing up to 16.5 tons. Two MTU 3862 hp diesel engines achieve a top speed of 18.5 knots, while an electric Schottel stern SPJ pump jet with 500kW power provides outstanding maneuverability and enables the yacht to travel for short distances under entirely electric propulsion.